This legislation had bipartisan sponsorship, was passed by both houses of Congress, and became law on Aug. 13, 2018. It establishes legal authority for U.S. export controls, and finally puts an end to the President needing to use emergency powers to extend the long-expired Export Administration Act of 1979. Many provisions of the ECRA are still under development and will be rolled out over the next year or more. The most significant provisions concern emerging and foundational technologies. The Bureau of Industry & Security will lead an interagency effort to identify and implement new export controls on emerging and foundational technologies. This could lead to export controls on technologies that are considered essential to U.S. national security. These technologies may include artificial intelligence, biotechnology, self-driving vehicles, nanotechnology, robotics and semiconductors. Although this sounds a bit like a blank check, any new regulations will require private sector review and input before going into place. The CFIUS is a committee chaired by the Secretary of the Treasury with members from other federal agencies. Its responsibility is oversight and review of purchases and investments by foreign entities in U.S. companies. This year Congress passed the Foreign Investment Risk Review Modernization Act (FIRRMA) and it became law. FIRRMA will give CFIUS the authority to review acquisition of U.S. companies dealing in controlled technologies by foreign entities and acquisitions by U.S. entities that are controlled by non-U.S. entities. “Controlled technologies” include those subject to ITAR controls, many EAR controls, and possibly the emerging and foundational technologies mentioned above. In effect CFIUS will become an export control agency where a non-U.S. entity, or U.S. entity controlled by non-US persons, seeks to acquire a U.S. entity dealing in certain controlled technologies. Although implementing regulations is still a way off, we would assume CFIUS will have the authority to deny an acquisition for what amounts to export control reasons. ECR is still underway. This year the Departments of State and Commerce took on the three remaining U.S. Munitions List (USML) categories that had not been revised through ECR. They are Cat. I covering firearms; Cat. II covering guns and armaments; and Cat. III covering ammunition. Proposed revisions to the USML and the Commerce Control List were published for public comment in the Federal Register. The finalized changes to the regulations are expected in 2019. The Directorate of Defense Trade Controls (DDTC) and the Bureau of Industry & Security requested and received comments for a review of USML categories V (explosives), X (personal protective equipment) and XI (military electronics). This review may have already resulted in changes to categories V and XI (see below). DDTC also published revisions to several USML categories. These included Cat. IV (launch vehicles), V (explosives), VIII (aircraft, helicopters and UAVs), XI (military electronics) and XV (spacecraft). DDTC also changed its website (www.pmddtc.state.gov) and made several personnel and leadership changes. One of the significant changes to the EAR was expansion of the Entity List and the Unverified List in Part 744. These lists have become an important export control tool. 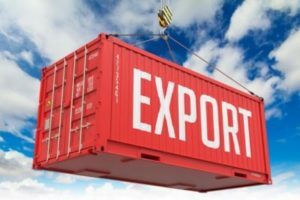 Exports to entities on these lists require a license application – regardless of export control classification – and probable denial. Checking against these lists should become part of the export screening process. BIS revised 17 Export Control Classification Numbers (ECCNs) that were subject to Missile Technology controls as a result of the Missile Technology Control Regime plenary agreements. BIS also revised 54 ECCNs to implement changes made to the Wassenaar Arrangement Dual-Use and Technologies List made at the December 2017 Wassenaar plenary meeting. The changes also caused changes to license exceptions APR (Additional Permissive Re-exports) and STA (Strategic Trade Authorization). The major change to the OFAC sanctions was reimposition of the Iran sanctions on Nov. 4. For the most part the sanctions returned to where they were prior to the Implementation Day of the Joint Comprehensive Plan of Action in January 2016. OFAC also added (or reinstated) many parties to the Specially Designated Nationals List). OFAC also added entities to other lists – all of which appear in the OFAC Consolidated Screening List – another list to check before exporting. Are we having fun yet? Stay tuned for more exciting (?) revisions and changes in 2019.